January 13, 2018 by Laurie 1 Comment This post may contain affiliate links, which means if you click on a link and purchase something, I may earn a small commission (at no additional cost to you.) See my disclosure policy HERE. Amazon just dropped the price on the Dash Mini Waffle Maker to only $7.99, which is by far the lowest price it's ever been at! This is a mini waffle maker which just means that instead of the HUGE Belgian waffles you'll be able to make waffles that are Eggo-sized 🙂 That's great for making homemade waffles in bulk for the week, and then you kids can reheat them in your own toaster! 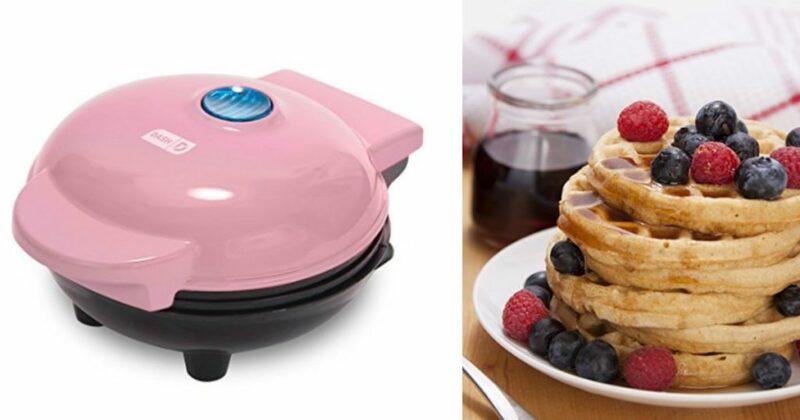 This pink waffle iron is only available as an add on to the purchase. You should list that as well. Also, it doesn’t show as your price.